When does a work begin and when does it end? In this collective group installation, featuring RO/LU's moveable sculptures, a sound installation by Alexis Georgopoulos (aka Arp), and Paul Clipson's 16mm film, each artist presents work that refutes the idea of stasis. 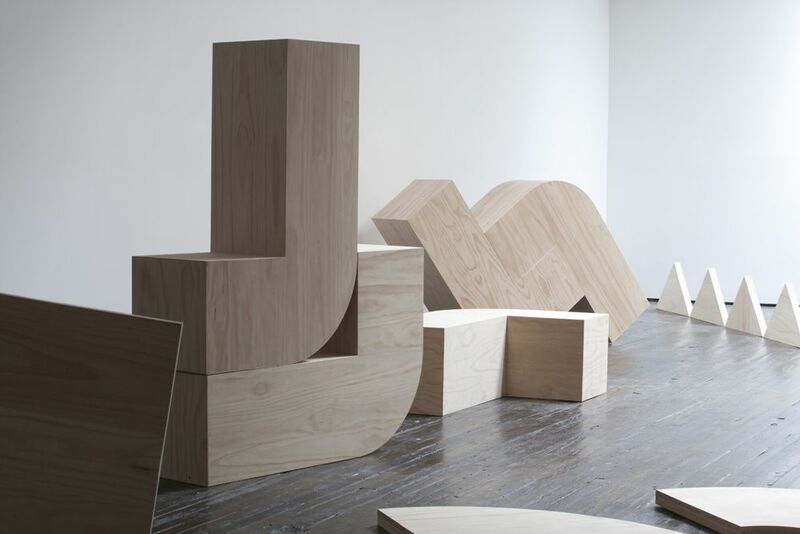 Georgopoulos, who has collaborated with both RO/LU (Walker Art Center 2012; Aspen Institute 2013) and Clipson (Berkeley Art Museum 2011; New York Film Festival 2012), proposed the three contribute independent works that could work both as singular pieces and in tandem—a sum greater than its parts. RO/LU’s group of ambiguous modular forms explores the artist’s ongoing interest in where the studio's work begins and ends in relation to the source of its inspiration. 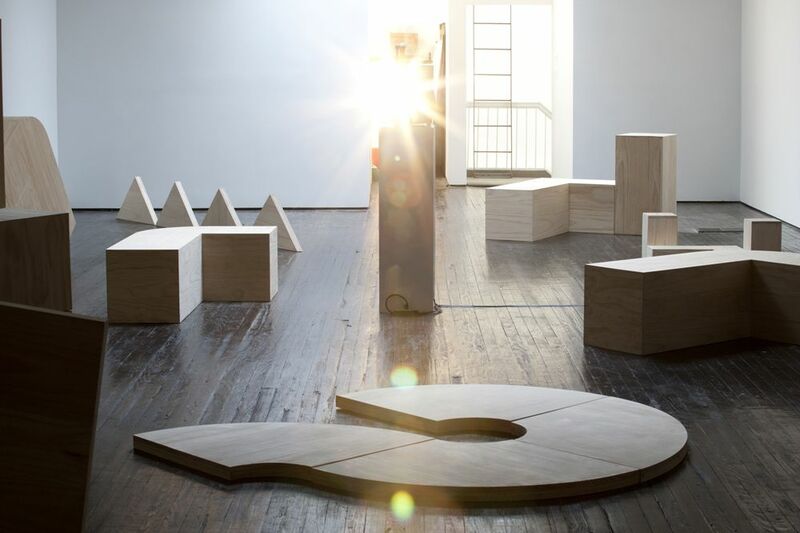 The gallery encourages visitors and invited participants to re­arrange sculptural objects, which are placed on the floor in the midst of sound and film. The piece explores the exchanges inherent in any action taken—exchanges with space and time, with each other, and with their collaborators both known and unknown. Light, surface, reflection, color, and texture are qualities implicit in Paul Clipson's new 16mm film, WATER FICTIONS. These elements describe both the physical nature of motion­picture celluloid—the form in which Clipson most often works—and the sensual beauty of water, the subject of his film. 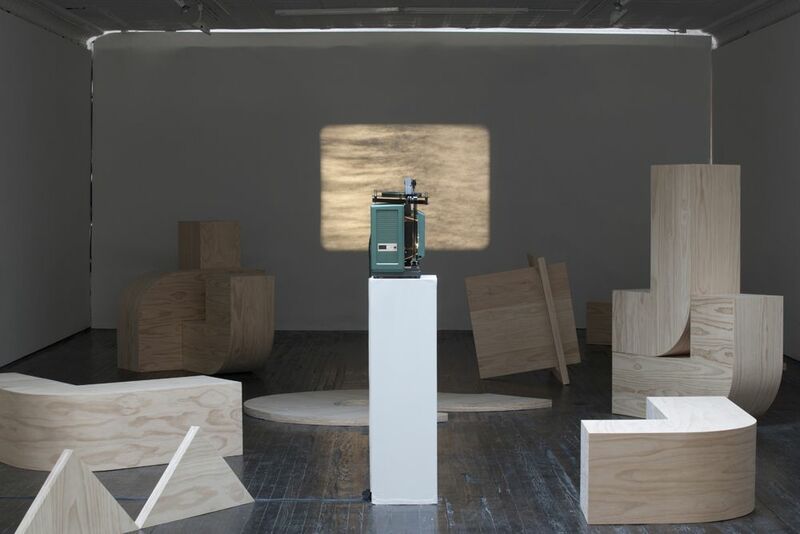 The sculptural presence of the 16mm film projector and the projected light and darkness of water allow the visitor to enter into an ever­changing environment created somewhere between the gallery space and his or her imagination. Movement and rhythm, two crucial aspects of the mechanical dynamics of filmmaking, are also at the heart of Clipson's fascination with the infinite permutations of surface reflections on water. Composed in a single key (C minor Dorian), chosen for its ability to be heard in great lengths of time, its root in cultures from ancient Greece to India, and its link to visions of futurism, Arp's sound installation reflects and refracts themes explored by both RO/LU and Clipson. Using a Moog synthesizer, and featuring Nicky Mao (who records under the name Hiro Kone) on violin and piano, the mode allows the listener/visitor to focus on sound at times and plays a subliminal, sometimes barely perceptible role, at others. Analog synthesizer overtones give way to violin, moving gradually at first, then building into a cascade of sound, before receding. This process regenerates over the course of the piece, each time doing so differently. Taken as a whole, the exhibition can be experienced uniquely upon each visit. RO/LU's sculptures will be continually repositioned and Clipson's film will be on loop intentionally out of sync with Georgopoulos's score. Like time itself, the installation is ever­changing and not to be experienced the same way twice. Alexis Georgopoulos is a composer and artist based in New York City. As Arp, he pursues divergent and specific lines of thought, alternating between liminal, minimal music – made with classical stringed instruments and analog synthesizers – and an idiosyncratic approach to Pop songwriting. A frequent collaborator, he often works with visual artists. 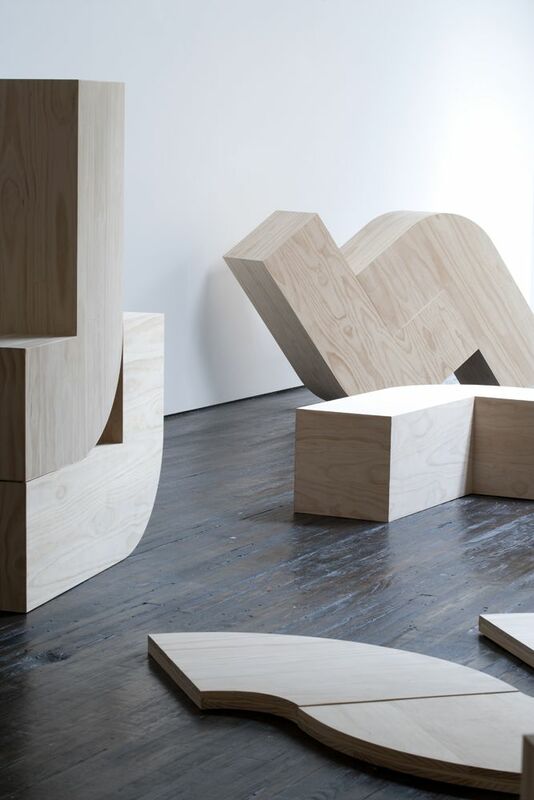 Previous collaborators have included Tauba Auerbach, Doug Aitken, Matt Connors, Kim Hiorthoy and Chris Johansen. Since 2002, he has performed internationally and has been presented by CHANEL, The Kitchen, PS1, Goethe–Institut, Deitch Projects, Walker Art Center, MoMA, New Museum, White Columns, 303 Gallery, Jacob’s Pillow, SFMOMA, Luggage Store Gallery, Jack Hanley Gallery, New Langton Arts, Yerba Buena Center and Frieze Art Fair. In Arp and other projects, he has released work on labels such as RVNG Intl, Type, Smalltown Supersound, DFA, True Panther, Mexican Summer, Root Strata, Troubleman Unlimited, White Columns & Deitch Projects. His forthcoming mini­album "Pulsars e Quasars" will be released 23 September 2014 on Mexican Summer. 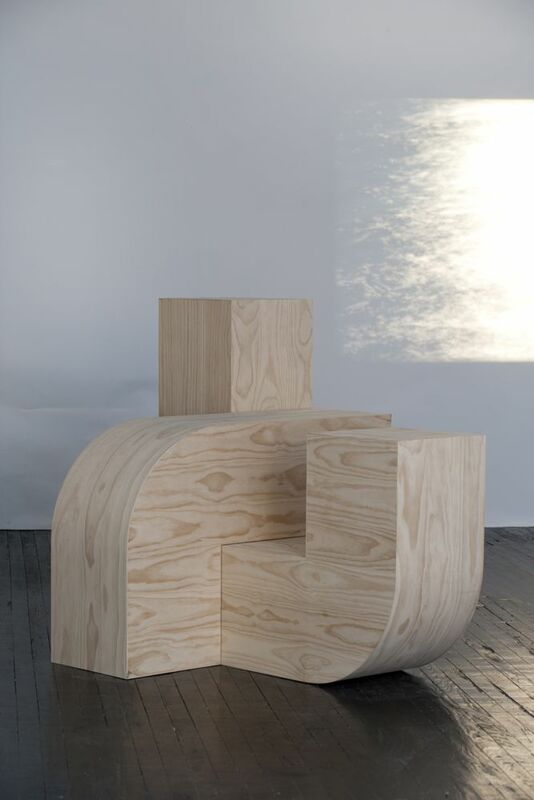 RO/LU is a studio based in Minneapolis that works on art and design related projects. Founded in 2003 as a landscape office, it evolved through its open practice to include work involving sculptural furniture, performance, photography, writing, video, fashion, land art, architecture and work with art institutions. Frequently collaborating across disciplines, many of their activities fall in between specific categories. In 2013 they completed works in Switzerland at Art Basel / Design Miami (ROLU 4 ARTSY), in Munich at Haus der Kunst (Paperweight curated by Felix Burrichter) and co­founder Matt Olson completed a month long Robert Rauschenberg Residency at Rauschenberg’s former estate on Captiva Island. 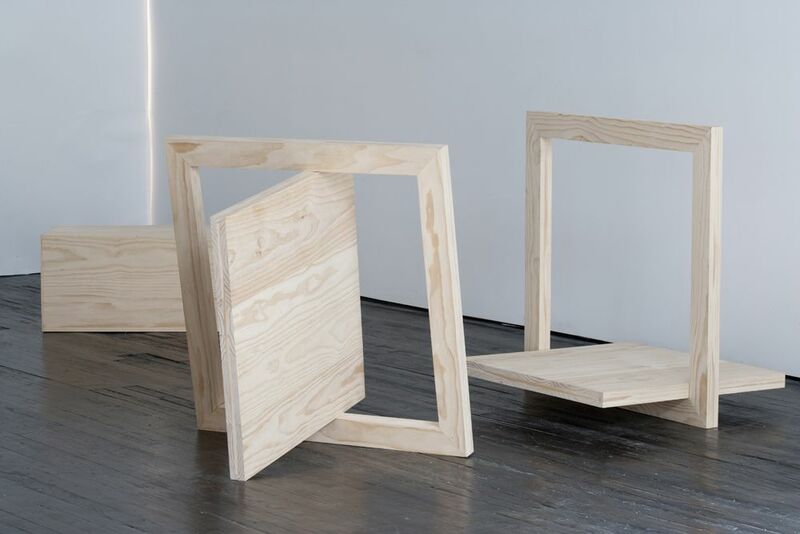 In 2012 they were Open Field ‘Artists In Residence’ at the Walker Art Center and their furniture work was presented by the gallery MONDO CANE (NYC) at Art Basel/Design Miami in the On/Site category. In 2012 the studio also exhibited work at Sit and Read gallery in Brooklyn, Volume Gallery in Chicago, MONDO CANE in NYC and West Galerie in the Hague, Netherlands. Paul Clipson is a San Francisco­based filmmaker who often collaborates with sound artists and musicians on films, live performances, and installations. His work has been exhibited and performed both nationally and internationally at such festivals as the New York Film Festival, Edinburgh Film Festival, and the International Film Festival Rotterdam. In June in the U.K., he premiered HYPNOSIS DISPLAY, a sound/16mm film collaboration with Grouper, commissioned by Opera North. His Super 8 and 16mm films aim to bring to light subconscious visual preoccupations that reveal themselves while working in a stream of consciousness manner, combining densely layered, in­camera edited studies of figurative and abstract environments, in a process that encourages unplanned­for results, responding to and conversing with the temporal qualities of musical composition and live performance.